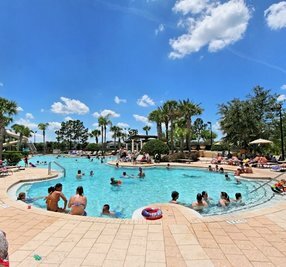 Are you looking for a vacation home with an incredible movie theater, a heated pool and spa, a modern kitchen, in Windsor Hills Resort with its NEW water park, and is very close to Disney World? This is it . 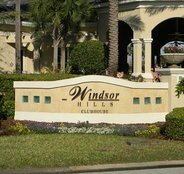 . .
Windsor Hills Resort Amenities: All of the following are FREE for you to use . . . New $2.1M Water Park! 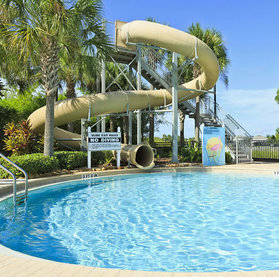 - Huge lagoon pool with water slide - Clubhouse (includes games room, exercise room, movie theater and sundry shop) - Tennis Courts - Volleyball Court - Picnic Area -Playgrounds. One last thing . . . Neither pets nor smoking are allowed. Thank you. Cancellation: $350 reservation deposit is fully refundable up to 60 days before check-in. We would recommend Hangar One! 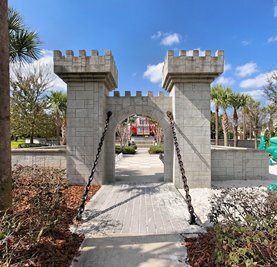 Close to all Disney attractions. Close to shopping. Pool and hot tub were great. We loved spending the evenings in the cinema room! We absolutely loved making this our home base for our week of Disney and Florida fun. Everything was in brand new condition and spotless and clean. The open grassy area across the street was a great place for the kids the throw a ball around and the entire community was clean, quiet and full of things to do. Our trips to the Disney properties was quick and easy and we enjoyed the quiet respite of the home after a busy day at the parks. I would definitely recommend this route to all our friends! 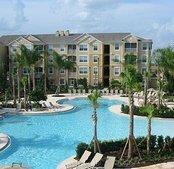 No more busy Disney hotels and crazy Disney transportation for us�it�s a home rental from here on out! This home made our week SO enjoyable! I have stayed in several units at Windsor Hills, this by far is the best. The unit was stunning. The pictures do not do it justice, it is much better in person. Clean, excellent finishes, and while I could not initially access the internet.... a phone call away and it was resolved immediately... service perfection... I highly recommend this unit if you are looking for something above the rest!. I will be back!!!! WE NEVER WANTED TO LEAVE!! My husband and I just returned with our five kids from staying at this incredible property. We can't say enough great things about the experience. First, the pictures look great but it's even better in real life. The decorating, the cleanliness, the layout are all top-notch. We had plenty of space to spread out and relax. All of the private suites made the kids so happy (no sharing bathrooms with siblings!). The kitchen was immaculate and had all the tools we needed to eat in. The pool was just right... the kids loved it. We paid the daily heating fee which was worth every penny. Swimming in January! The kids played in the pool and hot tub and we enjoyed the NFL playoffs on the lanai TV. Every detail was thought of. 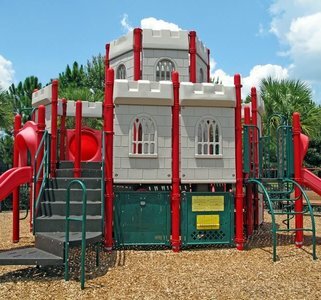 We loved the place so much we didn't even get around to exploring the on-site water park or play parks all around. We did enjoy the open grassy area across the street for football-tossing. We had a rental car and it made Disney an easy, quick drive. We also spent two days at Universal and that was a quick drive as well. Ideal location. I made two trips to Walmart which was less than five minutes away. 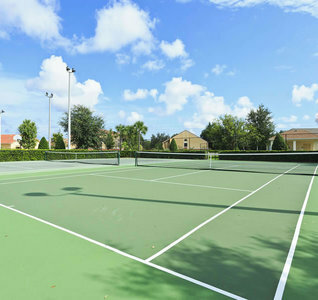 The community is well-maintained, quiet, peaceful and very secure. Just can't say enough good about this place. Plenty of towels, even swim towels. Keith was great to work with, before, during, and after our stay. We didn't have any problems, just questions, and he answered them all quickly. And even when we forgot a Harry Potter wand under a bed, he bent over backwards to make sure we got it back! The Star Wars theater was incredible and they were stocked with Netflix shows and video games to play. We would stay at this place again in a heartbeat. We all loved it. Thank you Hangar One for our best family vacation to date! CLASS ACT Upon arrival, we were immediately impressed. You can tell that the house was very recently renovated and updated. Because of this, we wanted to make sure that we left it in great condition. Upon renting it, we had some concerns about its distance from Universal. NOT a concern at all. After a hard day of hitting the parks, it was nice to come home and take a dip in the pool. They even have a large flatscreen on the patio to watch football while in the pool. I would certainly recommend this property to a friend or relative. WHOLE FAMILY LOVED IT!!! Excellent stay, great location, friendly & helpful managers...couldn�t ask for better. The house was amazing! GREAT STAY The property was in excellent condition. The tv at the pool area is a nice touch while swimming or having a snack on the deck. The unit is well decorated and the rooms are comfy. The biggest hit was the theater room. After 12 hours in the parks and walking 20 miles we ended each night of our stay watching a movie (usually at 11:00pm). My wife and son are requesting we do the same thing in our own house. 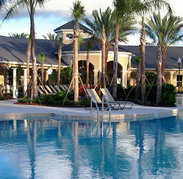 I have stayed at several different properties in the Windsor Hill resort and this has made it to the top of our list. Next time we are visiting Orlando this place will definitely be on our radar. AWESOME HOME We enjoyed our stay at Hangar One. This property was not only beautiful in d�cor, but was also clean, comfortable, spacious and inviting. We had ample space for both married sons and their families and thoroughly enjoyed our time together. It was very convenient having the pool right at the house. Wal-Mart was 5 minutes away, along with many restaurants also. The theater room was an absolute plus!